Jim Henderson highlighting the problems disabled people have to put up with by bad parking. 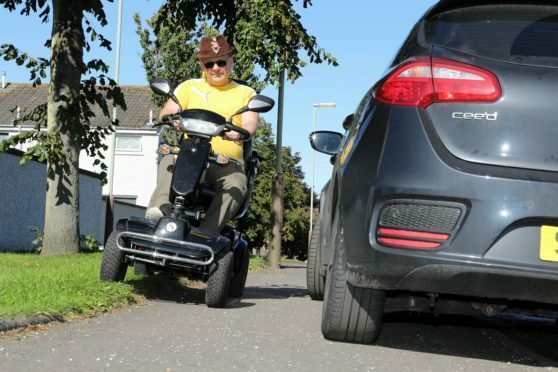 The issue was brought to the fore in October when mobility scooter user Jim Henderson from Arbroath said disabled people were being expected to run a gauntlet of “bin blighted streets and inconsiderate parking”. Nicky Milne, who is registered blind, from Carnoustie, also raised concerns about cars parking over dipped kerbs which she uses to cross with her long cane. 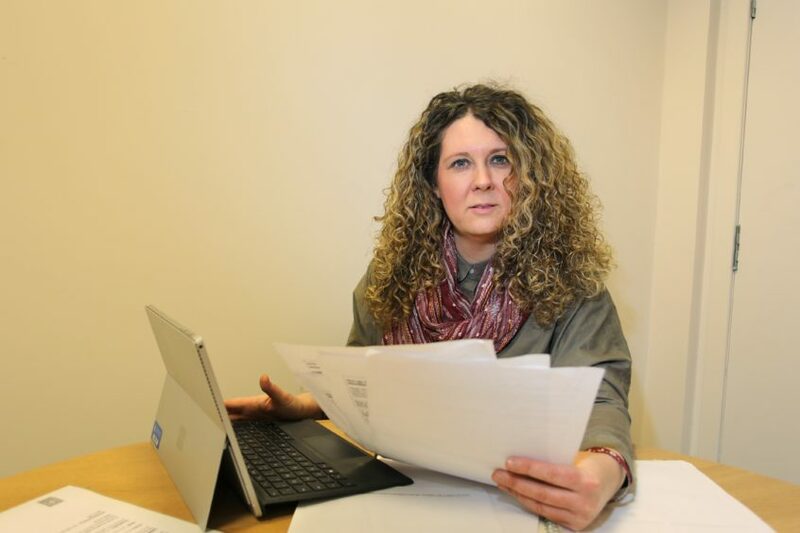 The protests were among a catalogue of complaints which had been brought to the attention of Arbroath East and Lunan independent councillor Lois Speed who has been fighting the cause ever since. She has now welcomed a move by the Scottish Government to change the law to benefit blind people, parents with pushchairs and wheelchair users. Ms Speed said: “Vehicles blocking and obstructing a pavement can make it extremely difficult for pedestrians to get around. Often people are forced onto the road or have to double back a considerable distance to find a dropped kerb to take an alternative route. “This can make essential trips outdoors unsafe and unpleasant and can contribute to social isolation. Under the proposed new rules, Scottish local authorities will be able to fine vehicle owners who leave their car straddling the kerb. 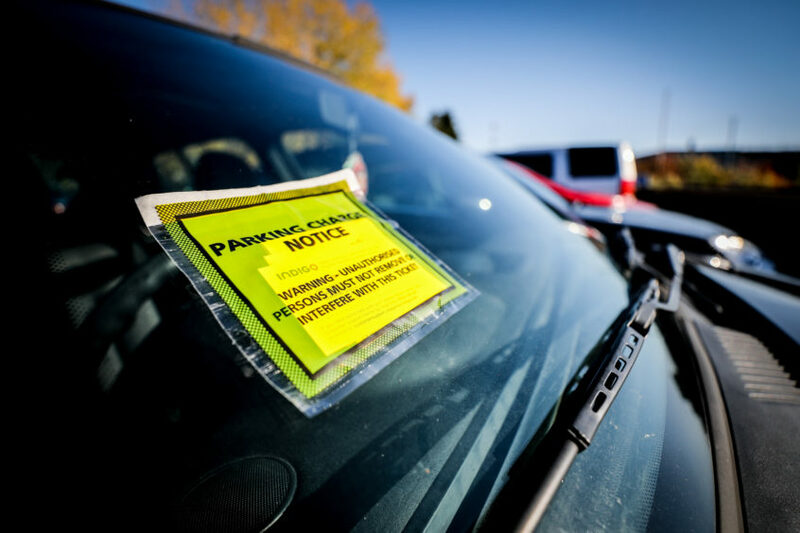 Under current law, parking on pavements is only illegal in London, except in certain boroughs. Ms Speed said: “I appreciate that it may mean some motorists and residents will have to find alternative places to park and walk that bit further but hopefully those that are fortunate enough to be able to do this will empathise and leave room for those whose needs are greater.